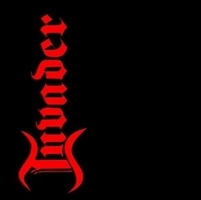 Invader has decided to form their band again after being out of the metal genre for almost 20 years, you have to respect them for that, and to start up, they make a re-release of their 1992 album called Invader, but the interesting thing is to discover if they can make good music now. Judged from their album Invader it is typical early 90's sound, and not so accurate for today's metal, their songs are tame, slow and tend to be a bit boring, not much live and activity to get from this album. Singer Gary Cobb has a strange way of screaming, not so much class about it either. From the 10 songs on the album it's only The Uncontrollable Fire that has a chance of escape drowning into the pit of soft slow boredom that the other songs are at risk to travel. A shame that they didn't try to make some new songs as a bonus, so you get a feeling of where Invader are today.